This glass match box is sure to enhance your candle lighting. It is a functional as well as a decorative piece which will beautify your Shabbos table. The matchbox cover serves as a holder for a large size box of matches. 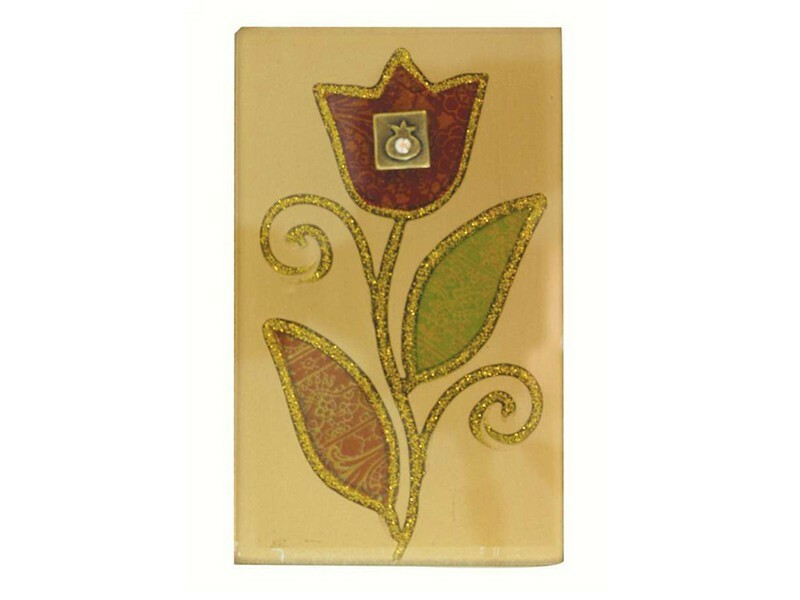 It has a lovely large colorful flower with gold accents. A silver colored plaque with a small pomegranate adorns the center. This match box is the perfect choice for a hostess gift or for any other occasion.